You can use coloured marshmallows, nuts, or any of your favourite chocolate bars. 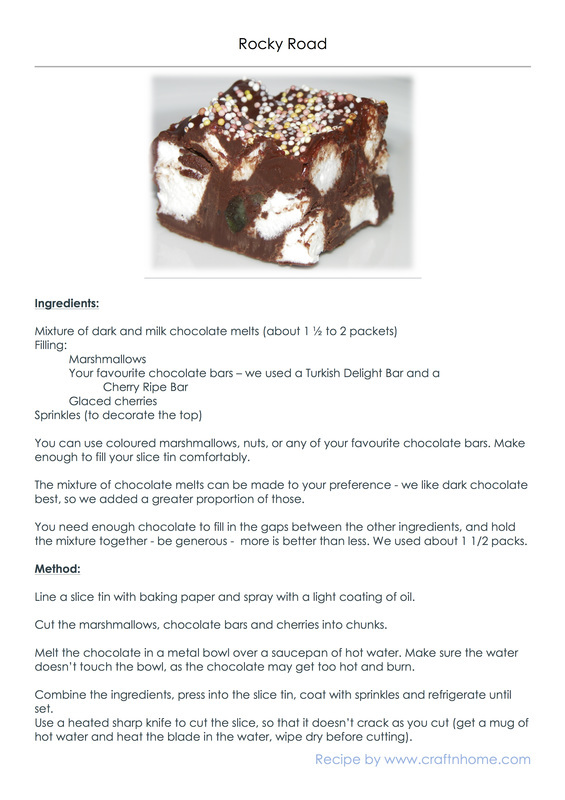 Make enough to fill your slice tin comfortably. 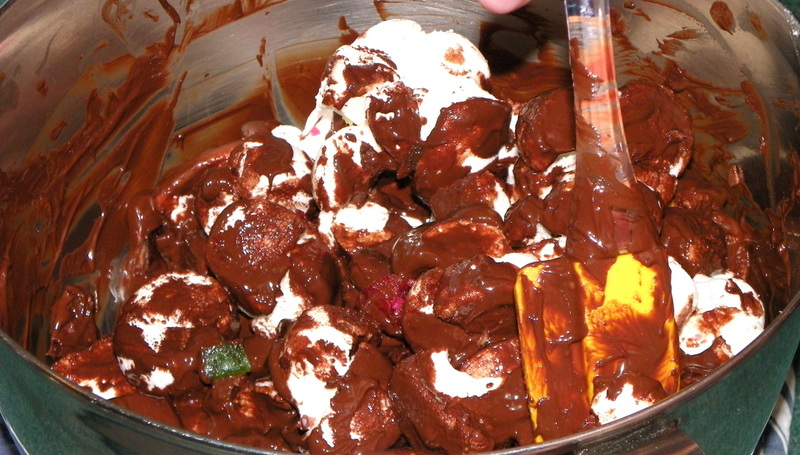 The mixture of chocolate melts can be made to your preference - we like dark chocolate best, so we added a greater proportion of those. 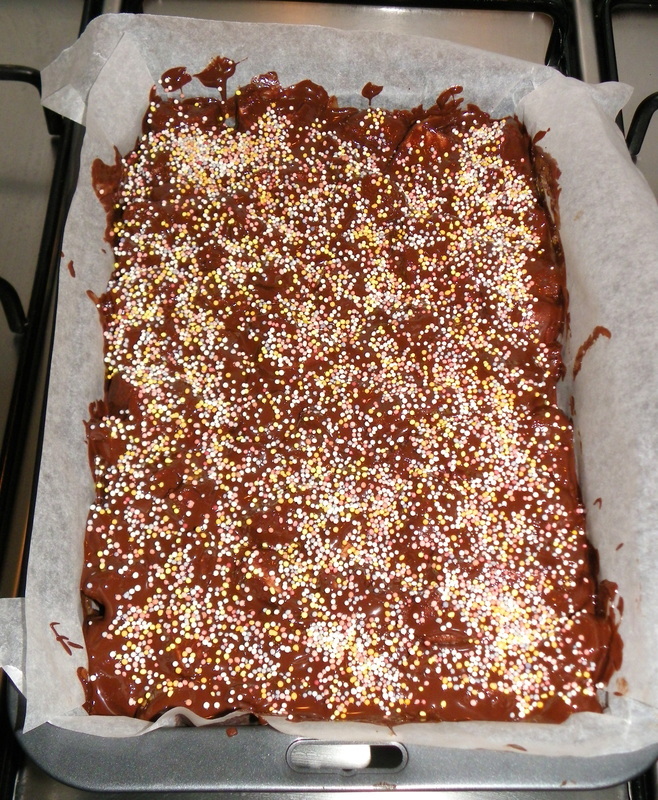 You need enough chocolate to fill in the gaps between the other ingredients, and hold the mixture together - be generous - more is better than less. We used about 1 1/2 packs. 1. 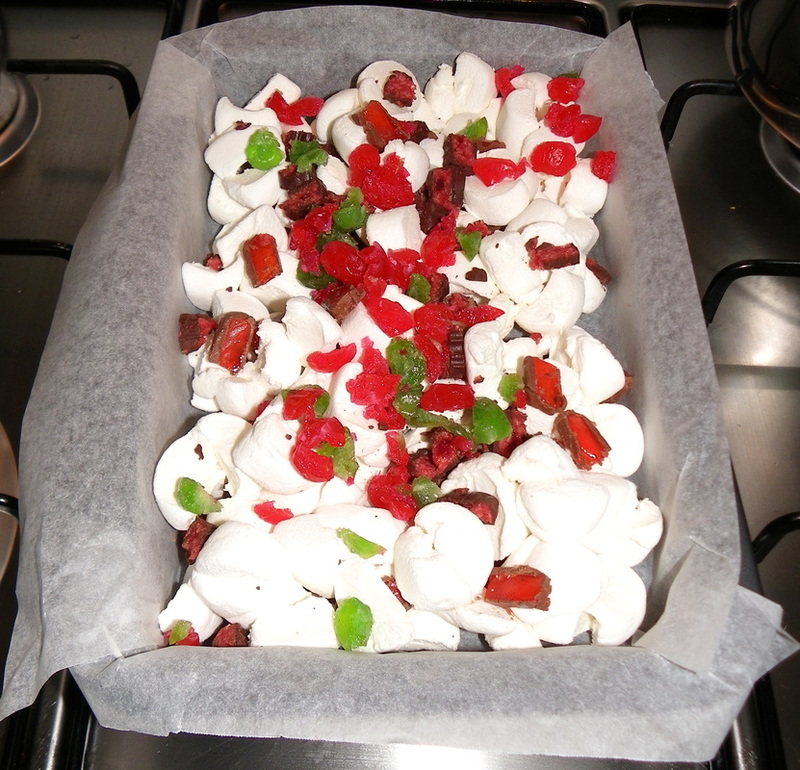 Line a slice tin with baking paper and spray with a light coating of oil. 2. 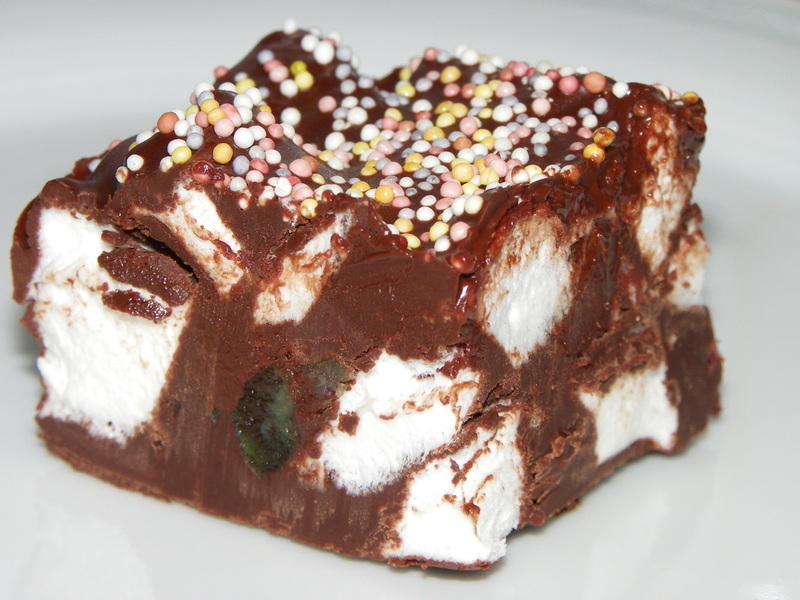 Cut the marshmallows, chocolate bars and cherries into chunks. Cut up enough to fill your slice tin comfortably. Checking the amount of filling required for the tin. 3. 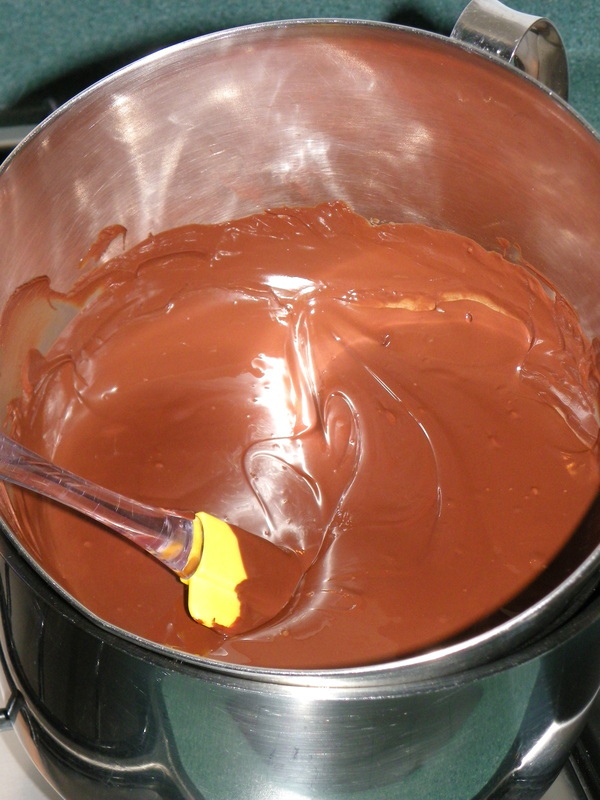 Melt the chocolate in a metal bowl over a saucepan of hot water. 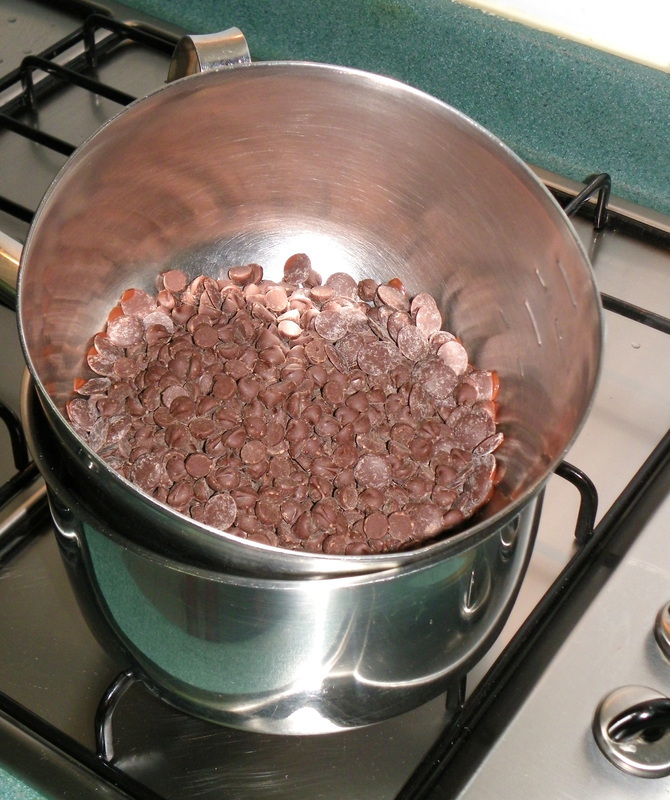 Make sure the water doesn’t touch the bowl, as the chocolate may get too hot and burn. 4. 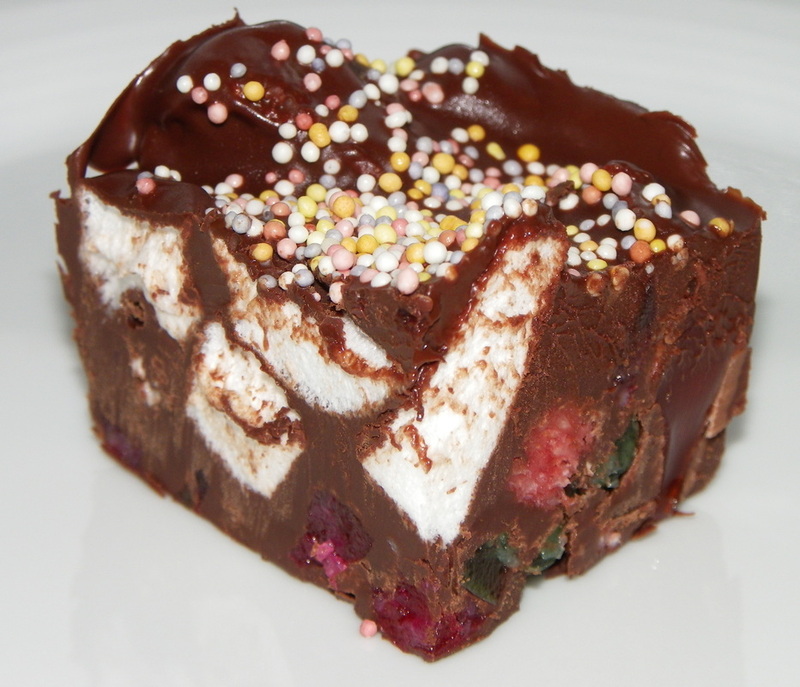 Combine the ingredients, press into the slice tin, coat with sprinkles and refrigerate until set. ​5. Use a heated sharp knife to cut the slice, so that it doesn’t crack as you cut it (get a mug of hot water and heat the blade in the water, wipe dry before cutting). 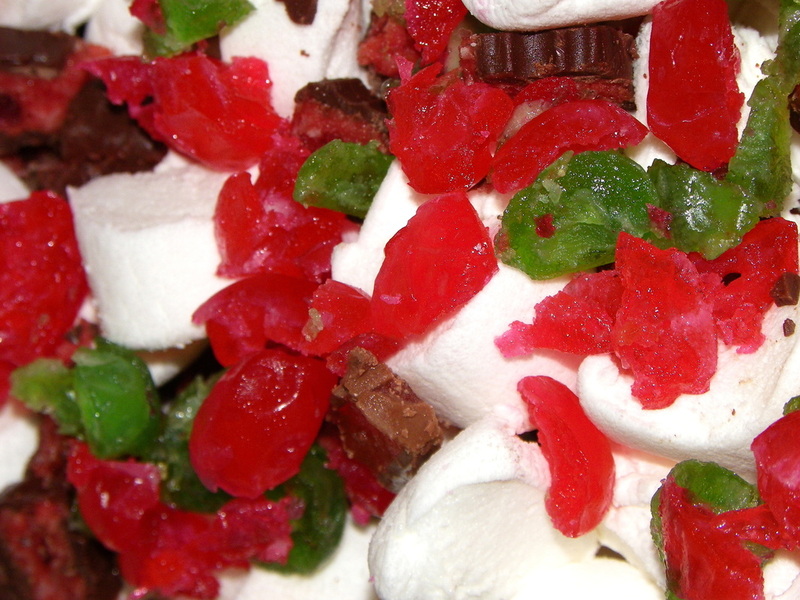 To print this recipe, open the pdf doc or jpg image below, and select print.